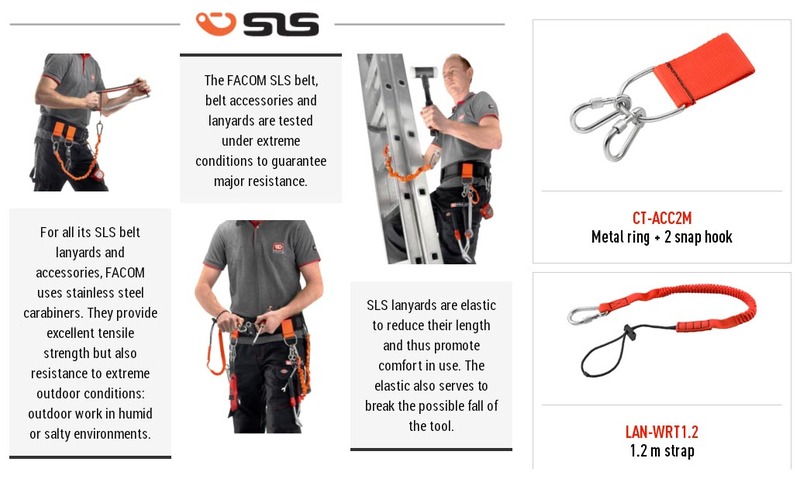 Facom 7 1/4" Combination Pliers with Safety Lock System (187.18CPESLS) - Facom offers a Safety Lock System (SLS) line of 190 pre-equipped tools, 3 lanyards, 2 belts, 2 belt accessories and 2 carabiners. 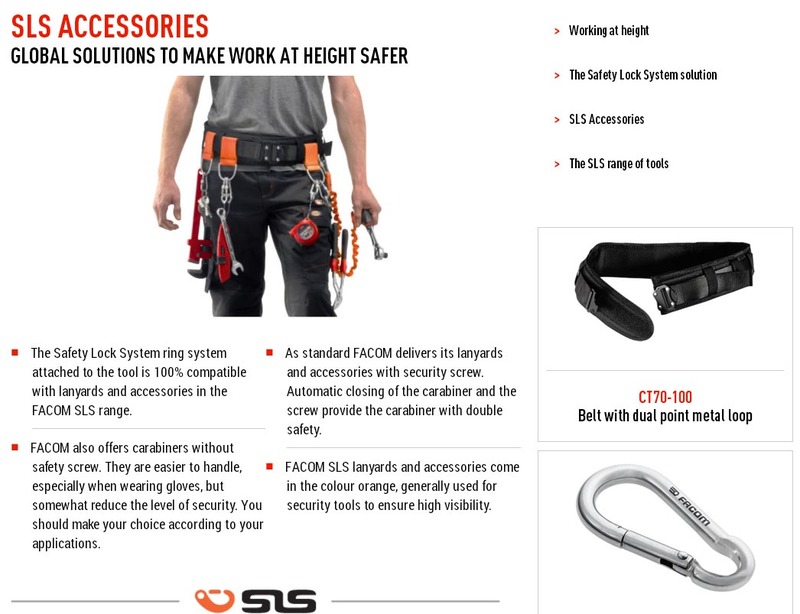 The use of these tools, when working at heights, minimizes the risk of damage and injury to people and property. Cutting edges designed to cut all types of wire: piano wire, soft wires and modern materials (Fe 200 kg/mmÂ²).